Peter Molyneux isn't happy about the scores that Lionhead's latest game didn't get perfect reviews, but he also admits that he understands the comments. Most game developers would be pleased as punch if their latest videogame received an average score in the low 80s. Not Peter Molyneux, though. 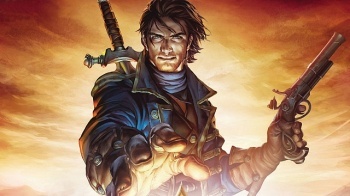 The man in charge of of Lionhead Studios was "pretty ashamed" of how Fable III fared with critics, primarily because he believes they were right in their evaluations. "It didn't end up being the game that I dreamed it would be, because I thought the mechanic of the ruling section were really good ideas. I thought they were good ideas, but we just didn't have time to exploit those ideas fully. "I've been here before, and it just means that you've got to make whatever you do next twice as good. You're going to make the process and the planning process much, much better because, in the end, that's where you really suffer. "...when I read in the middle of a review that said the quality just wasn't good enough, I actually agree with those reviews." From the sound of things, though, Lionhead is taking the lesson of Fable III and learning from it. Part of the lesson involves taking a "very different" approach to game development. Still, if Fable III is the studio's least-impressive game, then that's pretty good: Susan Arendt gave the game four out of five stars in The Escapist's review.